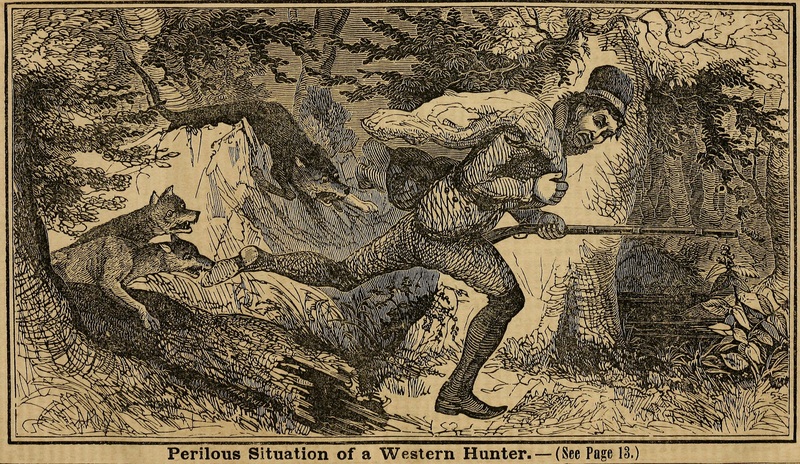 “Perilous Situation of a Western Hunter,” from The Crockett Almanac, 1842. History plays a prominent role in many modes of constitutional interpretation: from the decidedly ahistorical claims made by constitutional originalists, who believe historical meaning was fixed at some point in the eighteenth century, to proponents of a theory of a living Constitution who often make arguments about an evolving legal tradition, one rooted in the past but not frozen like a constitutional fly-in-amber. No area of contemporary constitutional law seems more burdened by the past than Second Amendment jurisprudence. Although there is no jurisprudential reason why the past should play such a preponderant role in the interpretation of this provision of the Bill of Rights, claims about the past have come to occupy an outsized role in debates about gun regulation. (By contrast legal arguments about the Fourteenth Amendment do not obsess about the past in quite the same way. Similarly, jurisprudence on the First Amendment and the Fourth Amendment have rarely turned on originalist arguments, even in the writings of Justice Scalia and Thomas, the two most prominent originalists to sit on the Supreme Court.) Given Second Amendment law’s historical obsession it is particularly important to separate historical myths about the Second Amendment and gun regulation from historical reality. Unfortunately, judges and legal scholars continue to construe the American past through a lens that is itself clouded by the accumulated dust deposited by layers of historical mythology. The most prominent myth obscuring historical understanding of the Second Amendment relates to America’s frontier past. Although historical scholarship has effectively refuted this mythology, purging it from virtually all of the major college-level textbooks and the Advanced Placement U.S. history curriculum, constitutional culture, both inside and outside of the legal academy, has not. Prominent judges continue to take their cues about the American past from classic Hollywood westerns, Walt Disney’s The Adventures of David Crockett, and The Little House on the Prairie novels of Laura Engels Wilder. The result is a wildly distorted account of the Second Amendment’s origins and early American efforts at gun regulation. 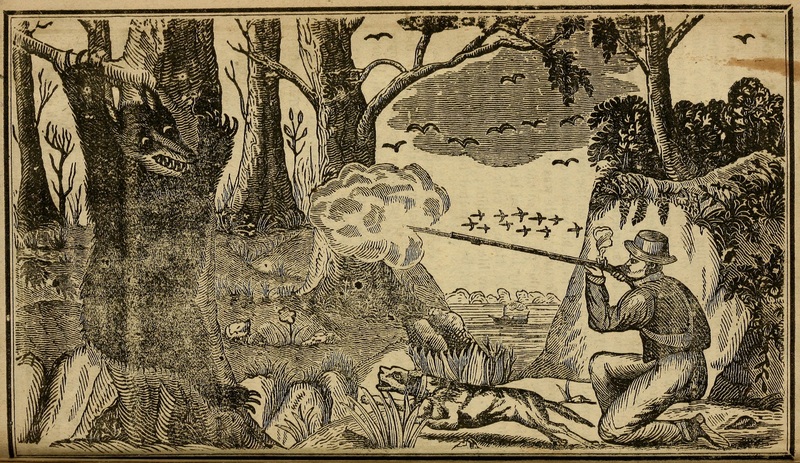 Frontier mythology has shaped another aspect of the current debate over firearms policy and the law. In response to the horrific shooting at Sandy Hook Elementary School, the NRA’s Wayne LaPierre warned that the “the only thing that stops a bad guy with a gun is a good guy with a gun.”Setting aside the policy debates and statistics about the utility of armed self-defense, particularly in active-shooter scenarios such as schools, the suggestion that giving a guy a gun turns him into an effective agent of law enforcment, it itself part of a set of myths about regenerative violence dating back to colonial America. The leading historian of this mythology, Richard Slotkin, has charted how this motif has been constantly re-invented in American popular culture over the long arc of American history. David Crockett has morphed into Jason Bourne, and most recently the iconic image of a gun-toting hero is more likely to fight off alien invaders or the hordes of the zombie apocalypse than the marginalized others of earlier mythic tales of violence and redemption. “A terrible Fight with a Bear in a Sink Hole on the Grand Prairie of Arkansaw,” from Davy Crockett’s Almanack of Wild Sports of the West, 1836. These myths once may have amused some Americans, but they have turned toxic in today’s political climate. Previous generations did not turn to such myths to argue against reasonable gun regulation. The simple fact is that as long as there have been guns in America they have been regulated.Historians can play a vital role in exposing the role of toxic myths in our current debate over firearms. Indeed, one of the problems with current efforts to reform America’s gun laws is the absence of compelling narratives to counter the gun-rights movement and gun lobby’s strategic deployment of myths such as the “good guy with a gun”to close off debate on reasonable firearms policy. Despite recent calls to repeal the Second Amendment, a move that seems both distracting and misguided, the real problem is not the text of the Second Amendment. Nor is the interpretation of it in District of Columbia v. Heller, the DC gun case that reversed seventy years of precedent and effectively rewrote the Second Amendment by setting aside the text’s preamble affirming the necessity of a well-regulated militia, a major obstacle to a broad range of gun regulations. Read in isolation the text of the Second Amendment tells us almost nothing about the scope of constitutionally permissible gun regulation. Under any theory of the Second Amendment, even Justice Scalia’s individual rights reading, regulation is not only permissible, but in some instances it is mandated. Individual states enacted lengthy militia laws in the era of the Second Amendment that gave government the power to compel citizens to bear arms. A Rhode Island law from 1794 is typical; it imposed a schedule of fines on those required to bear arms who failed to report to muster or acquire the necessary arms for participation in the militia. The idea of a well-regulated militia presupposed government authority to keep track of who has arms and proscribe how they were to be maintained and used. Neither history nor law stands in the way of effective and reasonable gun regulation. Constitutional politics, not constitutional law, is the primary obastacle to progress in this area. Changing constitutional politics means engaging with mythic accounts of the American past, exposing them, and fashioning new narratives that can inspire and motivate concerted political action. Historians have much to contribute to this project, and perhaps in the coming years the distortions wrought by outdated myths of America’s frontier past will no longer be an obstacle to enacting new and more effective policies to deal with America’s gun violence epidemic. Saul Cornell is Paul and Diane Guenther Chair in American History at Fordham University. People in the 18th century had a fear of standing armies. In the Anglo-Saxon world this went back to the British crisis at the end of the 17th century and King James II’s effort to create a standing army with Catholic officers and station it near the capital. The founding fathers shared that concern and put a term limit on army appropriations. A standing army (but not a navy) was considered dangerous and the defense of the country was to be entrusted for the most part to state militias. We have moved beyond this fear to say the very least in modern times. To make the “right of the people to keep and bear arms” an absolute guarantee against any regulation is absurd and extra-constitutional. Seems that since Madison and the rest of the VA General Assembly were apparently thinking of the frontiersmen (those living west of the Blue Ridge mountains) when passing the 1785 militia act cited in US vs MiIler, he might well have been thinking of them a few years on. Since those fellows had a duty to keep a rifle, they just might have had a right to do so as well. Doubtless the Miller court included the above passage to buttress their claim that when called for service men were expected to appear bearing arms supplied by themselves and of the kind in common use at the time. The above passage shows that the VA Assembly took into consideration the types of arms certain individuals were likely to own apart from their service in the militia. As the Miller court stated, those men were civilians primarily, soldiers on occasion. The author stated: Although there is no jurisprudential reason why the past should play such a preponderant role in the interpretation of this provision of the Bill of Rights, claims about the past have come to occupy an outsized role in debates about gun regulation. The author should direct his criticism to the Supreme Court in US v Miller. In Miller the court relied on an 1840 state court decision ( Aymette V State, TN). That TN court relied on the TN constitution of 1796, and they compared and contrasted the right to bear arms of the TN constitution to a 1688 act of parliament. The Supreme Court in Miller also cited several militia acts from the late 1700’s and in its summation said that the meaning they had ascribed to “arms” based on Aymette was also consistent with the right to bear arms provision of the other various state constitutional provisions. Lastly, in an earlier decision (Cruikshank,1876). the US Supreme Court declared that the right to bear arms preceded the US Constitution. So one can hardly say that that the Heller court was out of line in looking to the past when seeking to determine the meaning of the right to bear arms. Fidelity to precedent demanded they do so.